Networking – The Art of Building Relationships will enable participants to learn and practice the skills on how to build and sustain relationships. In this program, you will learn how to be good at networking by building relationships. You will learn the do’s and don’ts of effective networking and how to build new relationships and sustain them over the long-term. If you are new to the business world and want to learn how to build relationships and be effective at networking, or if you have been in the business world and still feel like you have “swam in the ocean” after every networking event or meetings, this course is for you. Catherine is a strategic thinker with strong leadership and communication skills. She is an astute professional committed to a high level of quality and service excellence. Prior to establishing her own consulting firm, Catherine was a senior executive with the City of Saskatoon where she acted as a key advisor and strategist for the City Manager regarding corporate issues. Catherine has built and maintained relationships with a broad range of social and community-based organizations and agencies for information sharing, partnerships, joint ventures and collaborations. Catherine has a commitment to the community of Saskatoon. 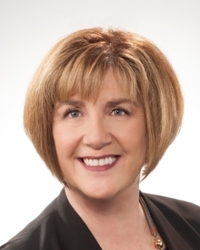 She has served on many Boards, including the United Way of Saskatoon and area, Shakespeare on the Saskatchewan, and is currently on the Board of Directors for Saskatchewan Blue Cross and the Canada Games Foundation.